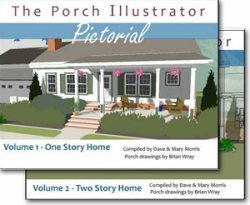 Creating appealing succulent garden designs near your front porch isn't as hard as it may appear. 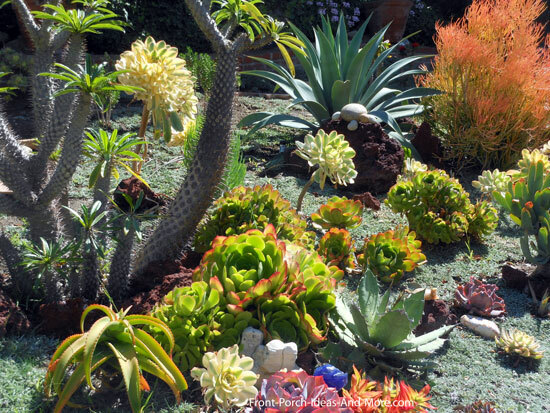 Given the right soil, water, and light conditions, you too can have an aesthetically pleasing array of succulent plants. 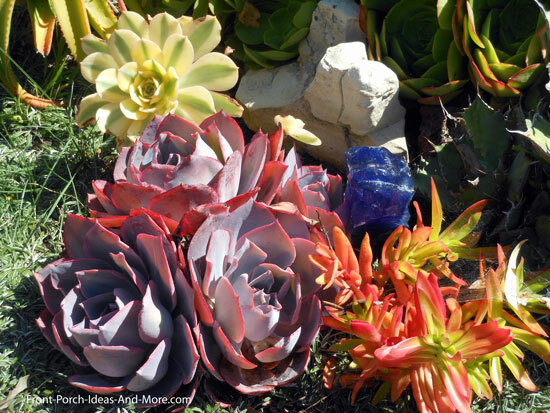 Known for both their textures, shapes, and colors, succulents are gaining in popularity. 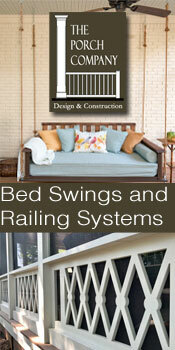 Combine that with being a low maintenance landscape design and its no wonder they are appealing to many. 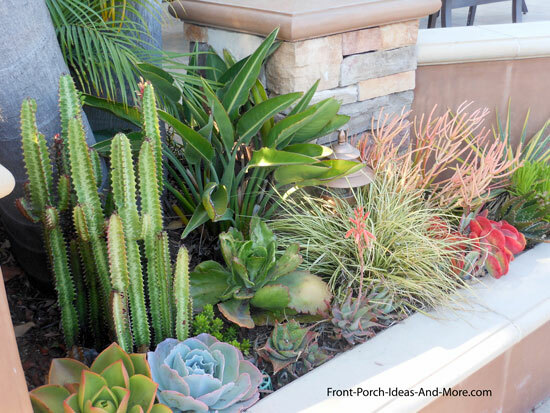 It is easy to integrate succulents with perennials or annuals to maximize curb appeal. 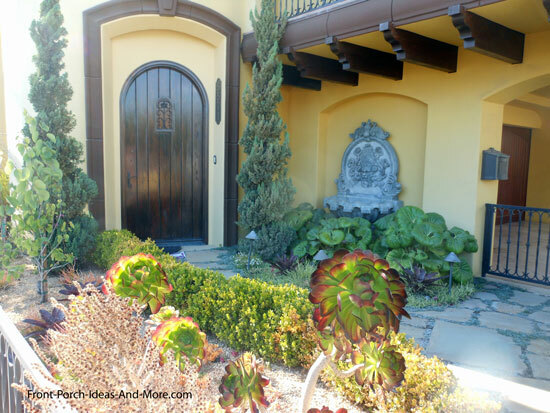 Mary and I had the pleasure of finding this wonderful succulent garden design during our travels and wanted to share it with you to give you some front porch landscaping ideas. 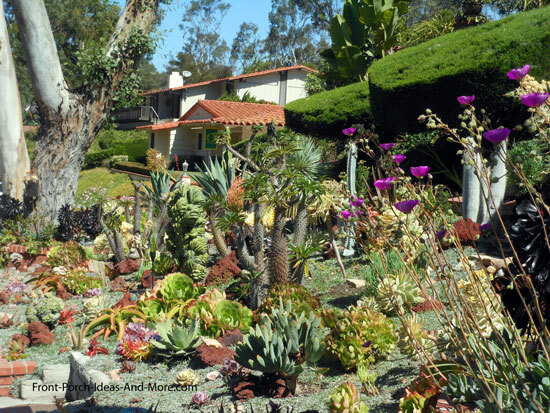 Mary and I are not succulent experts by any means but wanted to show you how our friend Frank used succulents to landscape the hillside in front of his home with pictures of succulents. It is a splendid display that we couldn't resist. We thought we'd also offer a few tips for landscaping with succulents we picked up along the way. 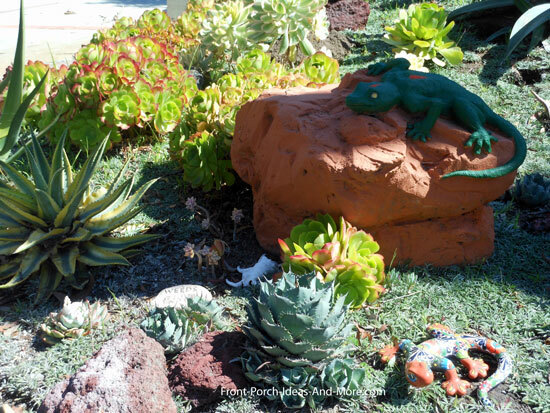 Frank's succulent garden design is typical of collector-style landscaping whereby gardeners relish a variety of species. 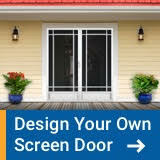 By doing so, you create something very unique in color, texture, and form to enjoy year round. 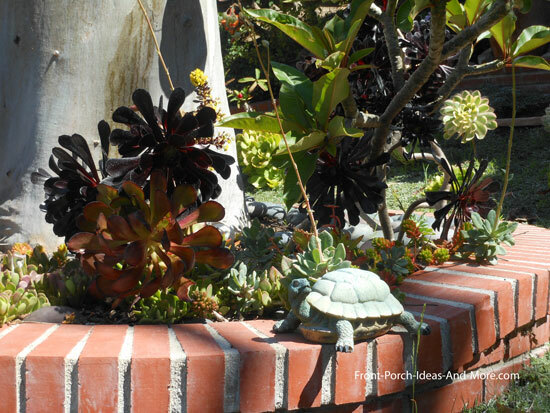 Succulent gardens area perfect for areas of limited size and are popular with those who have small porches. 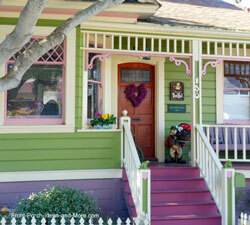 Use them along walk ways and entrances; add a bit of whimsy whether it be of rocks or other items as shown below. 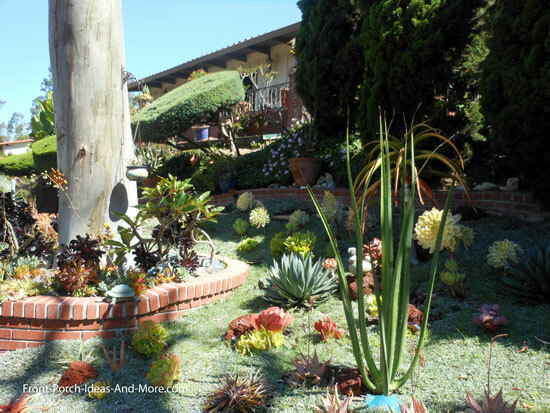 Use succulents as a ground cover to not only fill spaces but also create a carpet of color and to form a cohesive look. 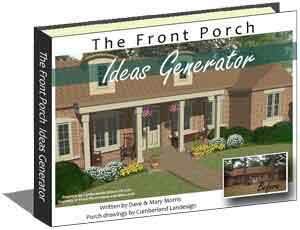 This also adds lots of appeal if landscaping next to your walkway or steps leading to the front porch. Sloping locations are ideas for succulents and cacti. 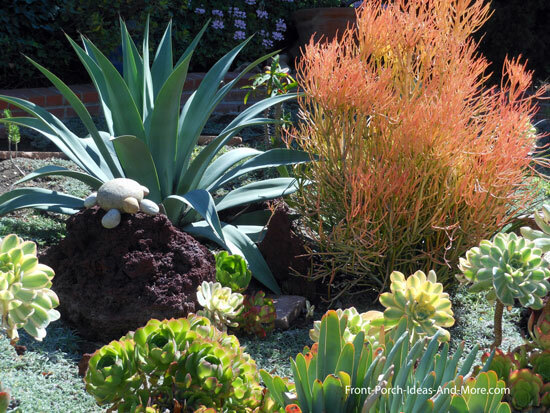 Hillsides and mounded terrain are perfect for a succulent garden and make it easier to control the right amount of water and drainage. Most assume succulents do not need much water; they grow in the desert, right? Much to the contrary, these beautiful plants need to be watered deeply only when they really need it. Water when the soil has almost lost its moisture. You can use a pH meter or an easier way I'm told, is to lay a flat rock on the soil. If there is moisture when you lift it, don't water. If it's dry - water thoroughly. By definition, succulents store water in their leaves, stems, and roots. In Latin the word “succulent” means “juice.” The cacti of which we are most familiar are succulents; however, not all succulents are cacti. Cacti have what are called "spine cushions". These are areas from which the spines and flowers grow. Although some succulents have spines, they do not have cushions. 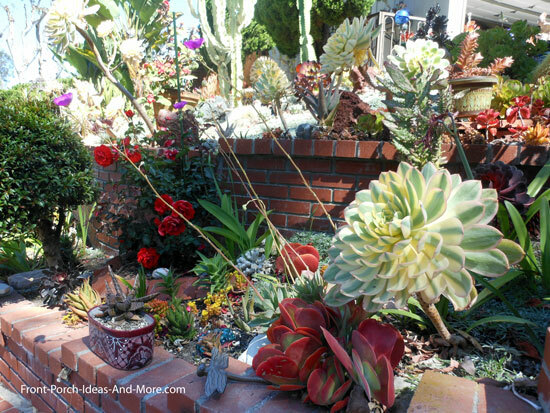 Create vibrant succulent garden designs by planting them en mass. 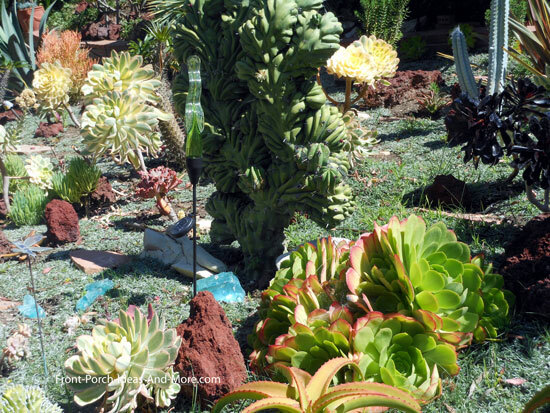 One method is to plant a tall succulent in the center and smaller ones around it. Diversify both color and textures for a unique look. 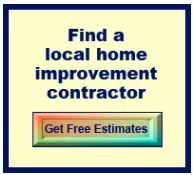 We understand the most common issue with growing succulents is rot. Be sure to keep stems from touching the soil and provide sufficient drying times between watering. Keep the leaves dry by watering at the base. 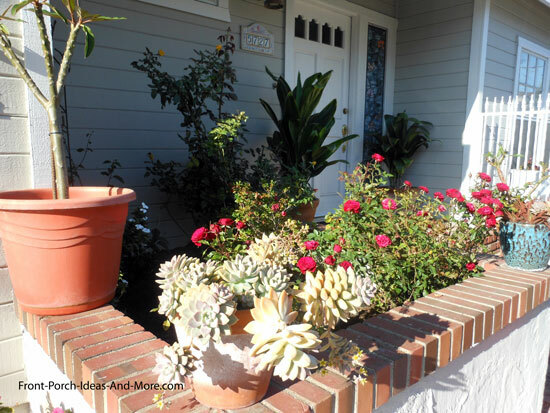 As you can see, planting succulents along your front porch adds interest like no other plants can. 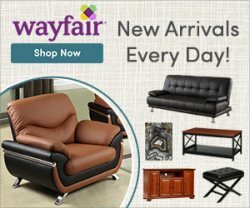 We hope you enjoyed not only the pictures but the tips as well. 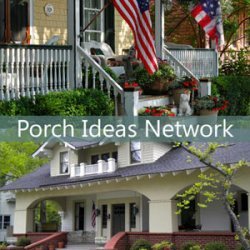 Creating captivating succulent garden designs around your front porch can make for some unique landscaping everyone will enjoy. 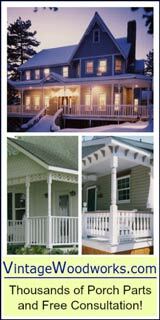 Be sure to see all of our porch landscaping ideas!